So the entire month of January has come and gone and I’ve barely done any crochet. This isn’t typical for me; usually I spend my January curled up in a warm blanket and basket full of yarn, and crochet the month away. But this month ended up being so busy – and so unseasonably warm – that I barely spent any time at all doing any crafting. But now, outside my window, there’s a light snow falling. The sky is cold and gray, and this year, February can take the place of the still, silent Januaries that beg for crafters to work away in the warm indoors. I’m just now finishing up the Block-a-Month Crochet-Along squares from January, and making my way through February as well. I had so many problems with the main square for January! I don’t know whether my attention was off or I wasn’t properly following the pattern, but each of the three times I attempted to make it, it either puckered or turned out lopsided. And because my crochet motivation was so off for the month, I decided to choose another square (this one off the filler nomination list) instead. So this isn’t technically a bamcal square for 2016 (yet?) but it will be part of mine. This is the Puff Wheat Afghan Block by Margaret MacInnis (from the wonderful Muggins Magic Hang-out group on Ravelry). She makes absolutely beautiful patterns, and this one was no exception. I think I would have used a larger hook than the G hook that I used, but it still came out pretty. I carried the yarn through the create the white flowers against the golden grain, and I like how the effect looks. 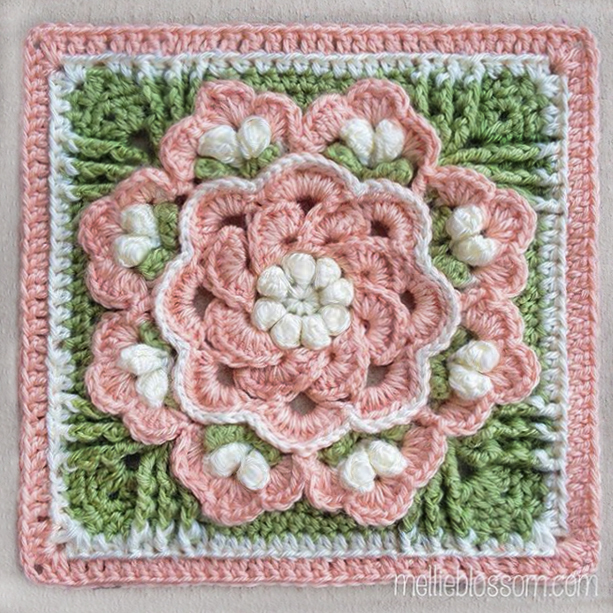 The 6″ blocks from January are these simply but pretty Circled Granny Squares. 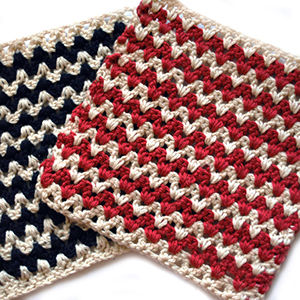 The 6″ squares chosen for the group are usually always a delight to make – easy, fun, and beautiful. I love arranging the colors in ways that complement the other colors and the other squares as well. So these were a breeze to make. Finally, I started on February’s square, simply because the pattern is so beautiful, and one that I’ve enjoyed making before, both as an addition to my 2014 bamcal afghan, and to the Pink Lemonade swap I did at the beginning of that year. Grandma’s Heart Square is what I’d call a Ravelry classic. There are so many gorgeous interpretations of this pattern, it almost made me want to leave my color scheme behind and make a whole bunch up in a variety of different color combinations. But I restrained myself, and stuck to the task at hand. Still, it’s fun to look up my old versions of this square, especially since both are far away in their new homes. It’s been so nice to spend the last few days catching up on some of these projects, and I have a stack of printed patterns just ready for me in a basket filled with yarn to make while watching the snow fall. I’ll take this late winter to hibernate with my crochet!